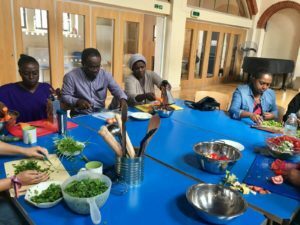 The chef training group takes place every Tuesday from 9.45am – 1.45pm at 18 Hampton Street, London, SE1 6SN. 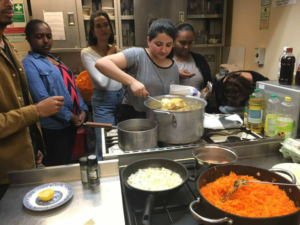 The first half of the session we run English, leadership, well-being and confidence building workshops and then in the second half we practise teaching each other our cuisines whilst learning professional cheffing skills. We then eat lunch together. Travel expenses are also paid for. 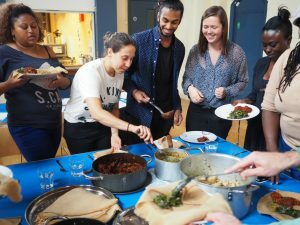 This group offers chefs a nurturing support network and a chance to share feelings and food in a safe group environment. To apply to become a chef click here. 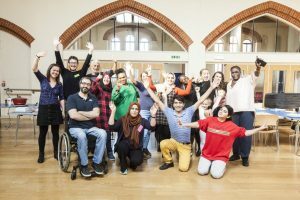 To volunteer at our chef training group click here. To donate to the costs of running this group click here.